August 29, 2015  The outcome in the closely watched trial shocked many observers. The Qatar-based network's acting secretary-general said the verdict was politically motivated and "defies logic and common sense." 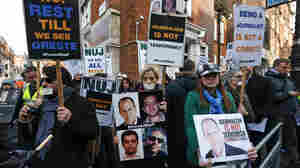 February 12, 2015  The move is seen as possibly boding well for the fate of the two journalists for the news outlet who are still on trial for allegedly aiding the banned Muslim Brotherhood. February 8, 2015  The announcement of a retrial comes days after the journalists' colleague, Australian Peter Greste, was suddenly released and deported. February 2, 2015  Australian Peter Greste, who spent more than a year in an Egyptian prison, was freed on Sunday. 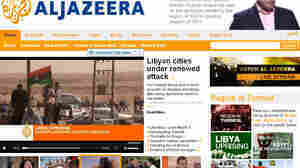 He says he remains concerned about his still-jailed Al-Jazeera colleagues. 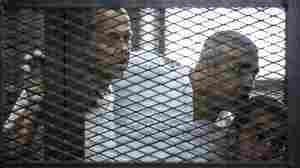 February 20, 2014  Australian Peter Greste, Mohamed Fahmy and Baher Mohammed, have been held in Cairo since their arrest in December. They've been accused of aiding the Muslim Brotherhood. May 18, 2011  She disappeared on April 29 and reportedly was sent to Iran before being released. Parvaz is a citizen of the U.S., Canada and Iran. March 3, 2011  Secretary of State Hillary Clinton went out of her way Thursday to single out the Al-Jazeera TV news network for its work in covering recent uprisings throughout the Middle East. June 4, 2008  A brand new mission for Al Jazeera English.